…Baldrick suggested that it was high time we spread our wings and ventured further afield. 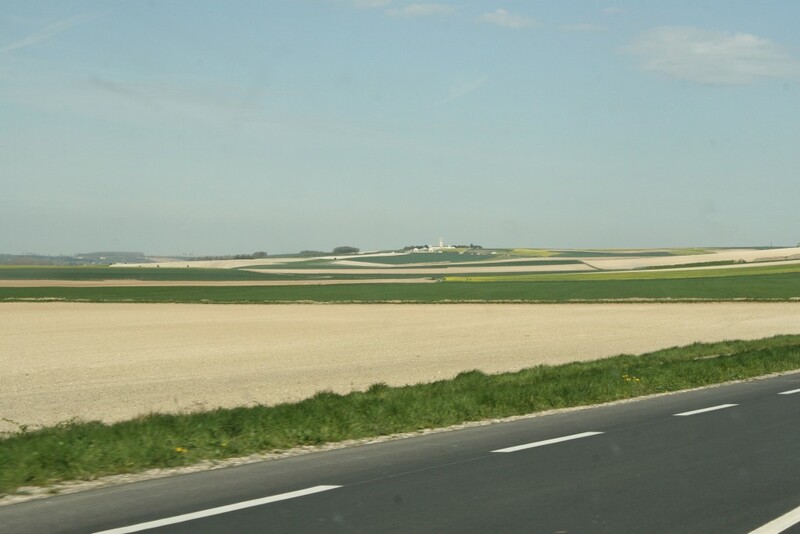 “I think I’d like to see the Somme”, quoth he, and as Mrs B happens to be an excellent organizer, late last week the missus and I, along with the Family Baldrick, found ourselves heading south for a few days r ‘n’ r in Amiens. The weather was wonderful, as you can see, and Balders and I managed to cover quite a lot of ground bearing in mind the relative brevity of our visit. In due course all will be revealed, but here’s a taster of just a few, and I mean a few, of the places we visited. 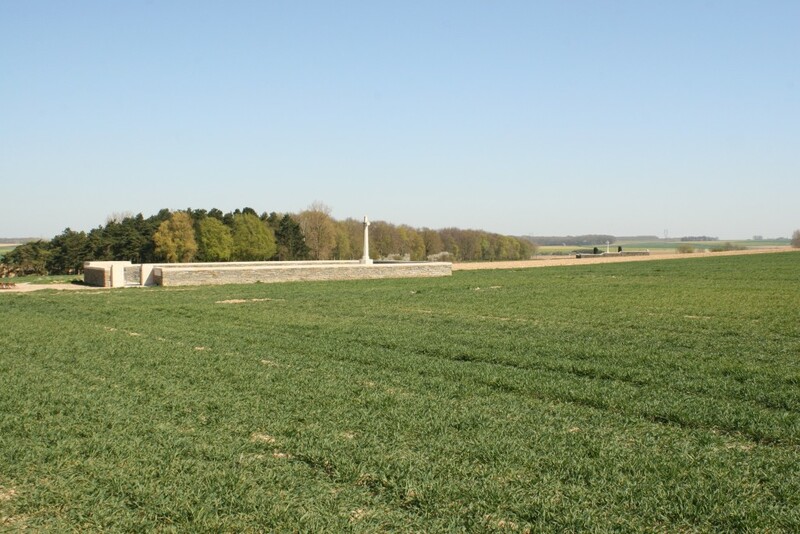 The first photograph, taken from within London Cemetery & Extension, shows High Wood, and if you know the story of the British attacks on the wood in the summer of 1916, you’ll understand why it was high on my list of places to visit. The photo above shows the site of the British front line in the village of La Boisselle at the start of the Battle of the Somme. 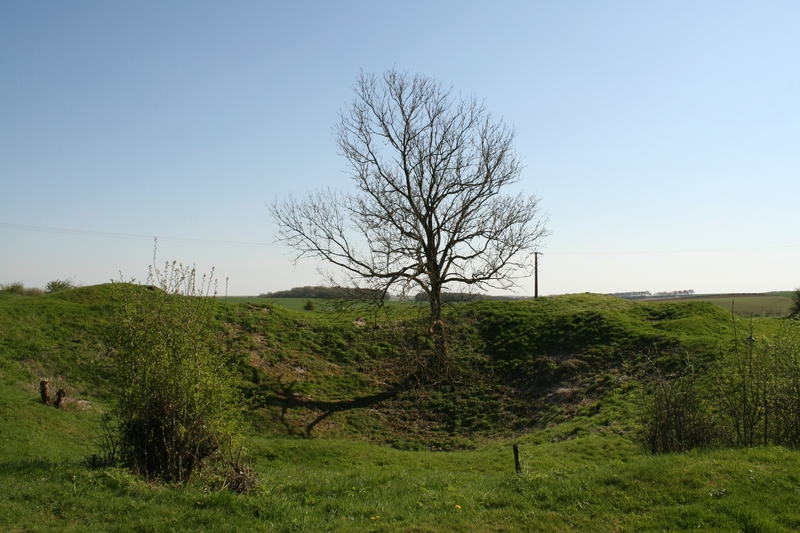 Also in La Boisselle, this shows one of the craters at the Glory Hole. Some of the earliest mining activities on the Western Front took place here in the winter of 1914. 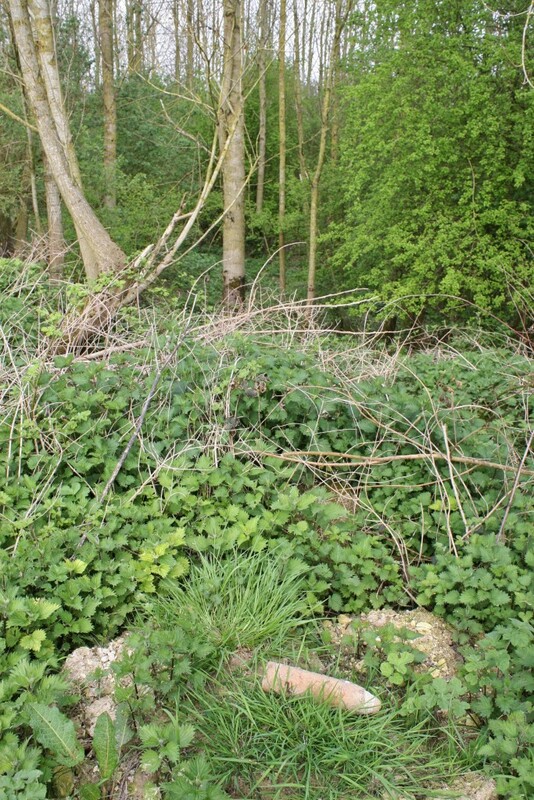 The Accrington, Barnsley & Bradford Pals attacked up this slope from the wood on 1st July 1916 only to be slaughtered in their hundreds by the German machine gunners as they reached the crest of the rise. The cemeteries tell the tale. Looking towards the Hawthorn Ridge from the sunken lane made famous by Geoffrey Malins’ in his film of the Battle of the Somme. 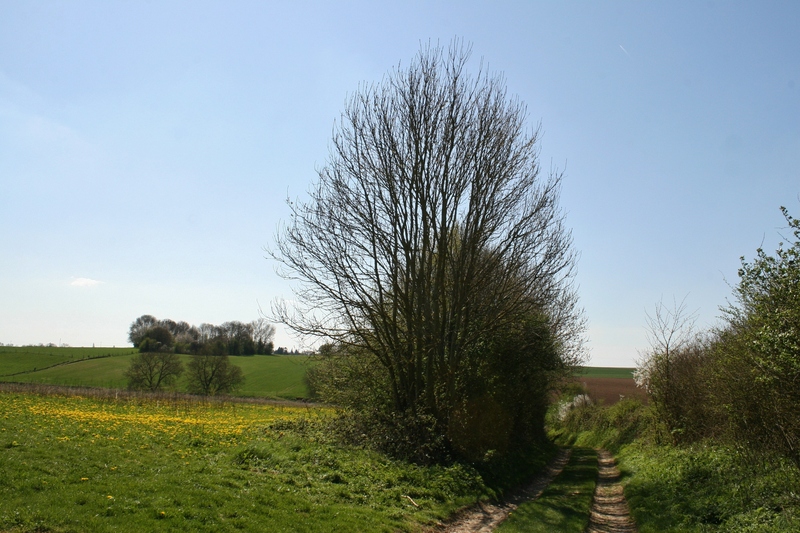 The trees on the skyline to the left grow on the site of the Hawthorn Crater, which Malins also filmed as it erupted beneath the German lines on the morning of 1st July 1916. 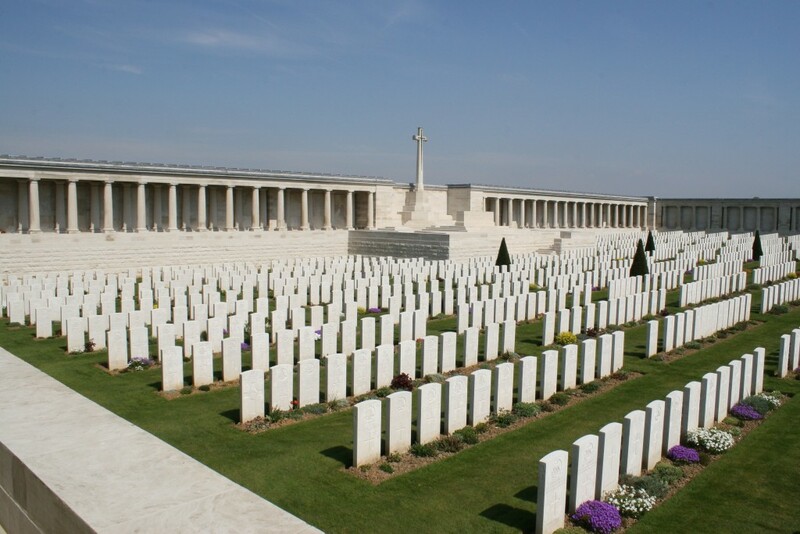 Pozieres British Cemetery. Nearly 3000 headstones, surrounded by panels bearing the names of more than 14,000 men who lost their lives during the fighting in the spring and summer of 1918 and who have no known grave. The Leipzig Redoubt. 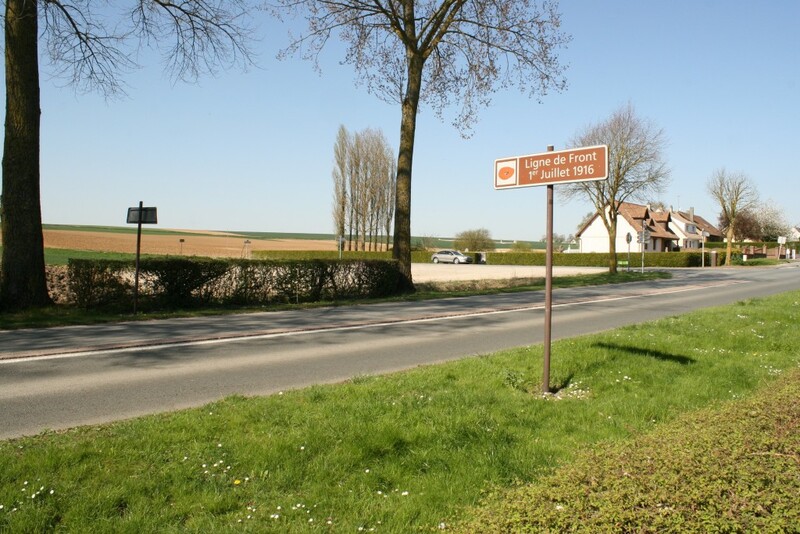 Once a German strongpoint near Thiepval, this place demands great care even today. This one’s for you, Sid. The Australian National Memorial at Villers-Bretonneux remembers all Australian soldiers who fought on the Western Front during the Great War; more than 10,000 Australians who were killed throughout France and Belgium and have no known grave are commemorated here by name. 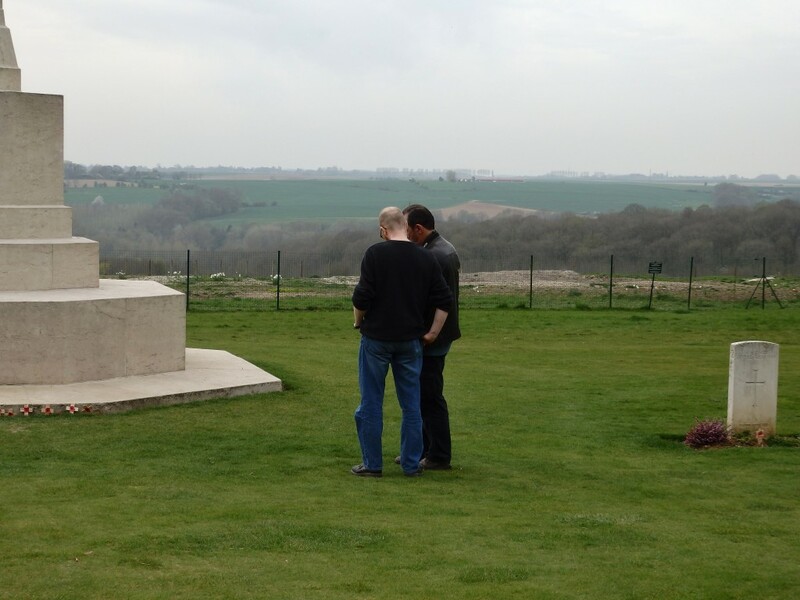 Standing on the site of the German front line, Thiepval, 16th April 2015.